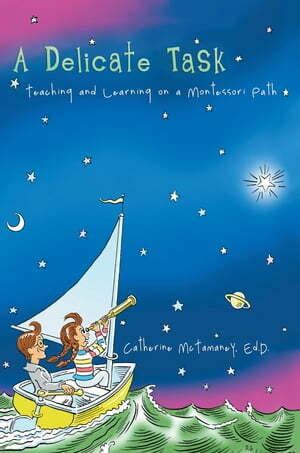 Collins Booksellers - A Delicate Task by Catherine McTamaney, EdD, 9781475931433. Buy this book online. There are, despite the loneliness of our classrooms and the heartache of having been called to teach, others on the path with us. Teaching is hard. Teaching in a Montessori path is even more so. Montessorians are asked to give up so much of ourselves, to make ourselves humble and lowly before the child, to be servants, to be scientists, to be saints. We often let ourselves down. There it is, then. We will let ourselves down. But there are others on the path with us. We can lean on each other. We can walk in each other’s footsteps. Sometimes we’re at the front of the path. Sometimes we’re following another traveler. Sometimes we’re resting. Sometimes the laughter of our group is so cacophonous that we forget how tired our feet are. Sometimes we’re so far ahead or behind that we can’t even see each other anymore. But we’re not alone. We are each other’s navigational stars. Montessori’s words, across generations, guide us. Our own words, whispered in each other’s ears or passed in notes or published in books, they give us guidance, too. They remind us on the hardest days that we’re not alone. We are not alone. We share certain tendencies, certain traits, common among humanity, common across decades. We are working in common toward a perfection we may never individually see. But we’re on the path. And we’re not alone.